It's been a month since I had this facial so I'm certainly in a position to talk both short- and long-term results. Advantage to being slack? The clinic is a short walk downhill from Belsize Park tube station (do not be tempted to climb the bazillion steps up out of the underground like I did. Painful. Sweaty. Take the lift.) The clinic itself is simple, clean and quiet. My smiling therapist Jodie Bloch greeted me with the kind of radiant, perfectly clear skin I dream of. After being taken to a small treatment room I was advised to take off my top-half clothes and lie under the towel. I appreciate a therapist who tells you exactly what to do so you're not left in a quandary of bra removal. I'd already filled in a very thorough skin and health questionnaire but Jodie also asked about my skin and turned the lights up to have a good look at my face. I was in a talkative mood and we chatted about our lives. This was lovely for me as I don't see a facial as a particularly relaxing experience. It's functional. I'm sure that had I been quiet Jodie would have followed my lead. She prefaced the treatment by saying 'I'm going to do a lot of exfoliating and extractions'. I felt the need to say, 'I do exfoliate! I have lazy skin!' as Jodie got to work cleansing my face. She used Alpha-H Triple Action Cleanser, explaining that it's good for breakouts. I only had a couple of spots at the time but I'd told her my skin was prone. She then applied Micro Cleanse, a granulated exfoliant containing 12 per cent glycolic acid designed to dislodge dead skin cells. Next she applied the Purifying Clay Mask mixed with Alpha-H's signature product, Liquid Gold. This was followed by the best and the worst bit of the facial: extractions. She apologised in advance for any pain caused but (wanting the best possible result) I told her to go for it. Jodie approached the task at hand with zeal and was vey quick and efficient. I appreciated her perfectionism. If you're a real wimp you might struggle, but for anyone in search of an effective facial without all the fluffy-fluffy-cotton-wool-cucumber-wiping, this is your treatment! 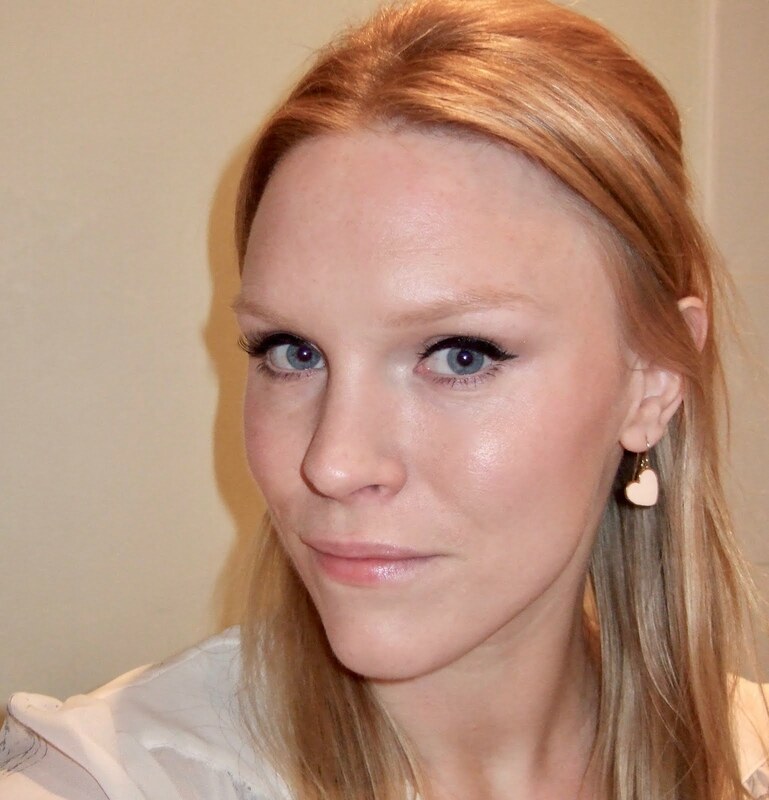 Clearly satisfied with her work, Jodie then used Age Delay facial oil for a facial massage. After this she disappeared briefly (as therapists tend to do) and left me wondering what was next. Turns out she'd been mixing one of Alpha-H's professional products, the Azulene Mask with Bilberry Extract. This incredibly thick mask is hugely calming to skin and provides a perfect final stage to the facial. Immediately following the treatment my skin looked buffed, healthy and glowing without any hint of redness. I was loathe to apply makeup straight away but an hour or so later I stopped in a cafe to put on some mascara as I was off to another event. I ran into Louise of Get Lippie who said my skin looked good, which was nice, especially as I felt pretty bare-faced. Jodie had warned me that I might get spots as my skin 'detoxed' and this was the case. The day after the treatment my skin still looked great. Two days after I had a minor breakout. In the weeks following my skin was pretty clear, which is very unusual for me. It's now a month after and my skin is getting congested again. If I lived in London I think I would try to raise the £72 it costs to have this facial once every six weeks. I can imagine it making a huge difference to my skin. I've been using the Alpha-H samples I was given at an event earlier this year and I think it's time I invested in the full-size products; they warrant a separate review. Anyone using or wishing to try Alpha-H, you must wear SPF 50 on your face every day to protect your glycolic-buffed skin from the sun. 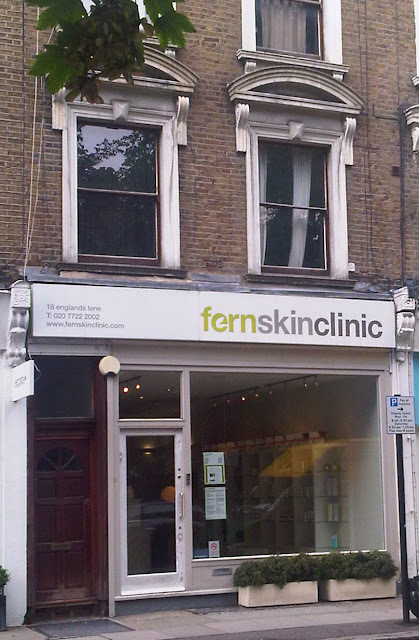 Fern Skin Clinic is the only clinic authorised for Alpha-H facials. QVC seem to offer the best prices for Alpha-H products online. Facial courtesy of the lovely Alpha-H PRs. this sounds like an amazing experience. I love Alpha-H - will be reviewing my experiences with it this week.